Well, I didn't have any luck with the Alexander Wang "Hanne" because they were a little too heavy (approx 9 lbs including the box) and apparently made my feet look like oars. Yes, Bryan straight up told me that they made my feet look like oars. Well, anyway. I know Aldo came out with their own version, Tilbury. Real leather. Looked lighter weight than Hanne, but something was just not quite right. 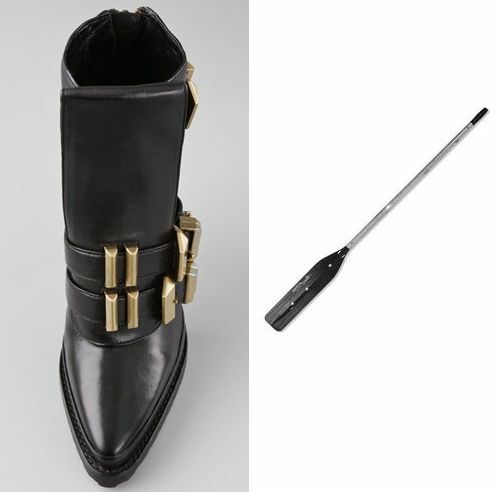 One of the main reasons that Hanne appealed to me was the buckles. The badass heavy duty brass buckles. Then today I came across Jeffrey Campbell's version, Morrow. Now that's what I'm talking about! It's a mix between Wang's "Hanne" and Camilla Skovgaard's signature jagged sole. 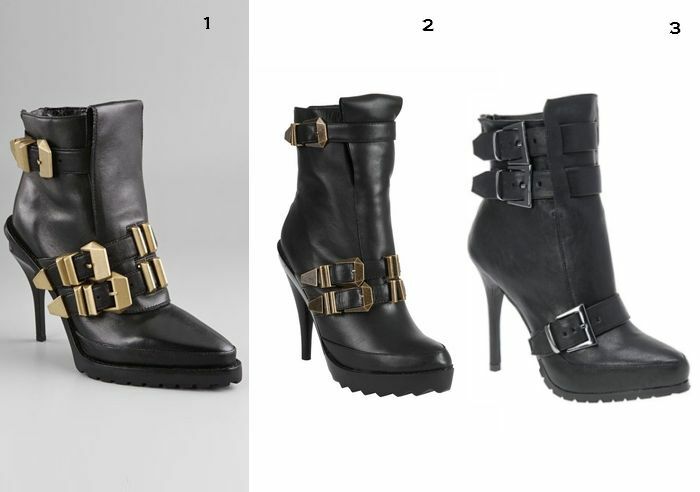 I like how the J.C. version loses the exaggerated point, keeps the brass buckles and tongue, and adds an edgy sole. So... let's have another go, shall we? Oooo I am loving Jeffrey Campbell lately! Just hit after hit! Oh gosh. Jeffrey Campbell is & always will be WONDERFUL. I need to meet him. & possibly marry him. My trigger finger and I ordered them. I will let ya'll know how they turn out! And yes, Jeffrey Campbell is coming out with more and more amazing shoesies. How can I ever keep up?? those aldo ones are soo off! well not SO off but they just dont work for some reason. we can always count on JC! so strange the 'Hanne' was too chunky, to me they looked equal in chunkiness! if I had the money for it I'd definitely buy the flat version, the Wang boots with the creeper soles. yummm!